miamiherald—FIU head coach Butch says quarterbacks have made light years of improvement after FIU's spring scrimmage at Riccardo Silva Stadium on Friday, April 12, 2019. Photo gallery: FIU spring scrimmage. View photos from FIU's spring scrimmage Friday, April 12, 2019, in Miami. 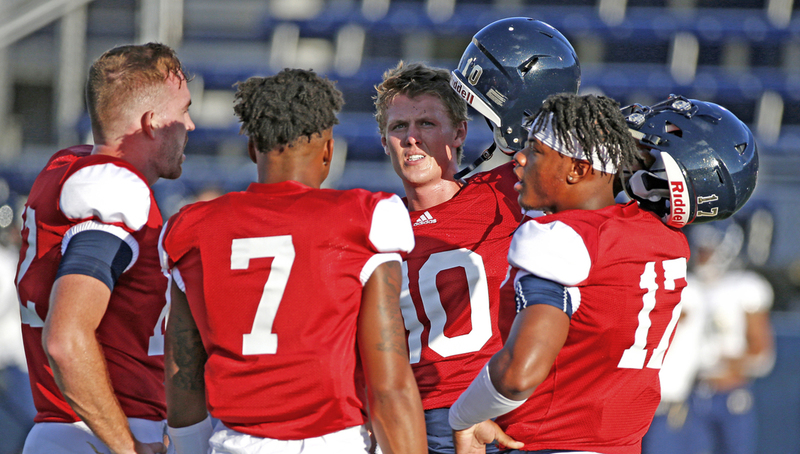 Saturday’s scrimmage might provide some answers to how a talented group of running backs and receivers might be used, but the presumed starting quarterback isn't yet on campus.